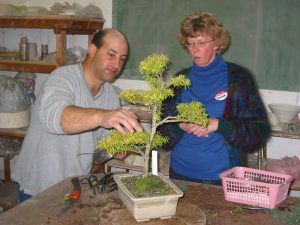 The club started in 1984 with meetings being held in the Science Laboratory of Hamilton Boys’ High School on Peachgrove Road. 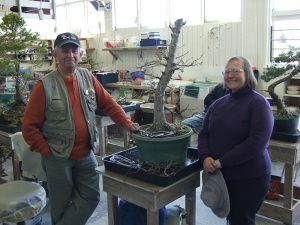 Meetings soon moved to the Red Cross hall in London Street and then on to Hamilton Gardens followed by a number of locations until we have settled back at Hamilton Gardens. 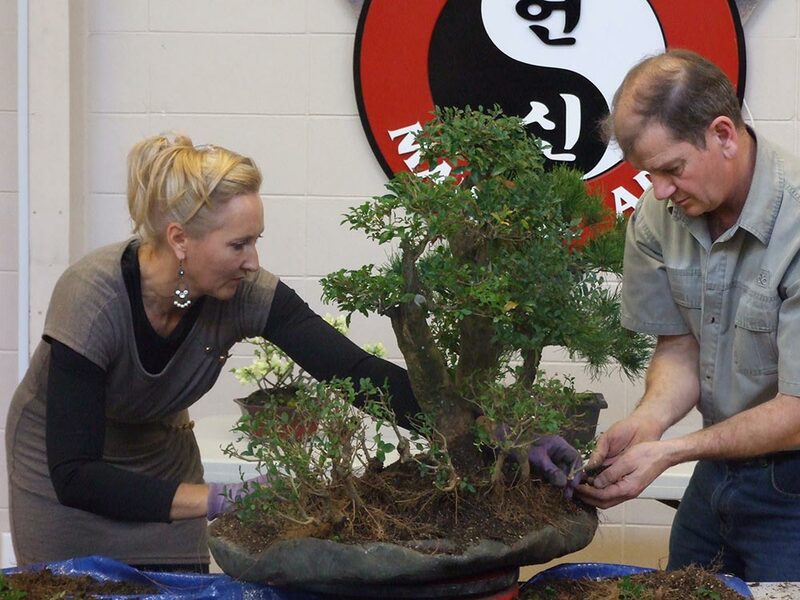 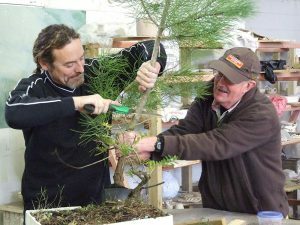 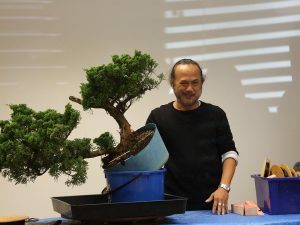 Demonstrations and workshops with guest speakers from other parts of New Zealand and overseas have been a major part of lifting our understanding of the art and techniques of bonsai. 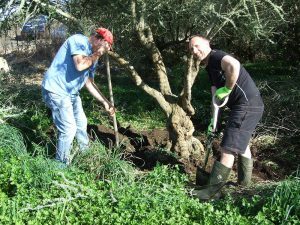 Many guest speakers have been invited to come along including New Zealand artists such as Bob Langholm, Joe Benson, Adriaan and Poppie Engelbrecht as well as horticulturists such as Ein Scarrow, Terry Hatch and Peter Sergel. 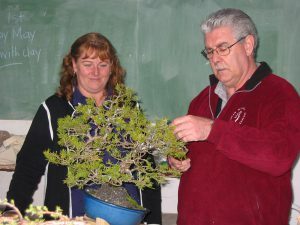 The Hamilton Bonsai Club has hosted the National Convention in 1996 (John Marsh), 2004 (Gary Marchal) and 2010 (Robert Steven), as well as helping the NZBA run the Convention in 2014 (Tony Bebb). The club will host the 2019 Convention. 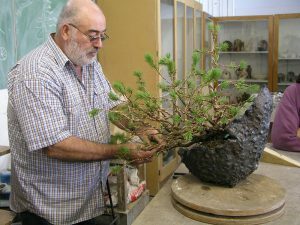 The Hamilton club has hosted a number of overseas bonsai artists who have helped the club with talks, demonstrations and workshops. Recently we have had frequent visits from Tony Bebb (Australia) and Nobuyuki Kajiwara (Japan & Europe) is now in the 11th year of running a weekend of lectures and workshops. 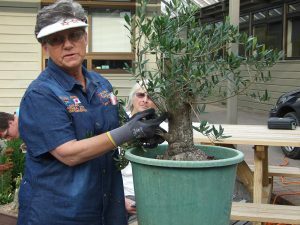 As well as getting in overseas demonstrators, members of the Hamilton club have been active in travelling to other bonsai clubs and other organisations in New Zealand and abroad to give demonstrations, talks and workshops. 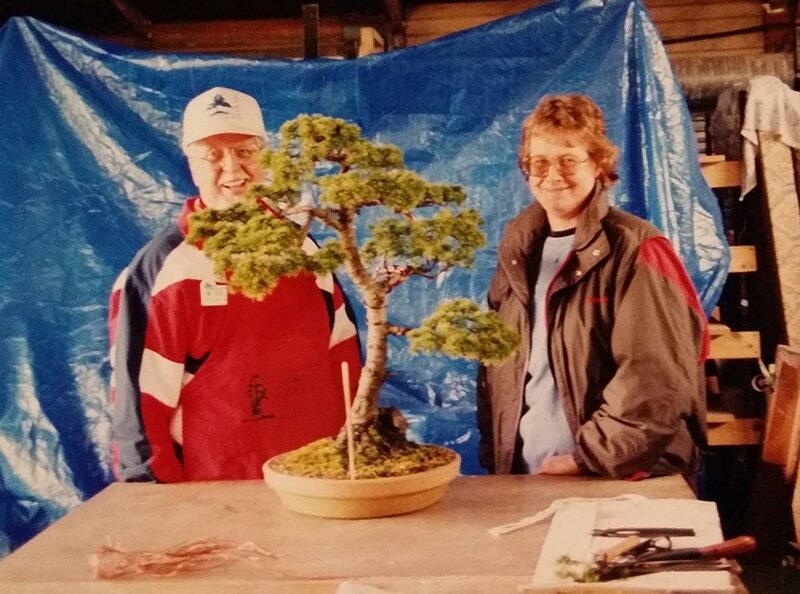 In the forefront of these have been Sandra Quintal, Dianne Miller and Noel Plowman. 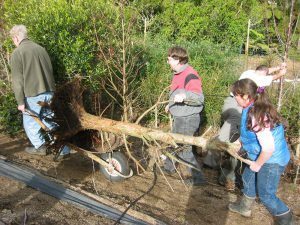 Field trips have always been an important part of club activities. 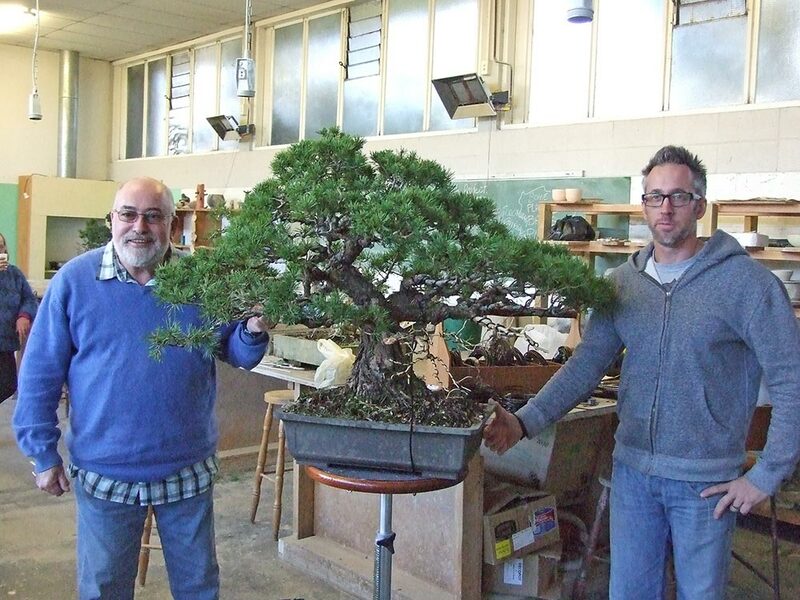 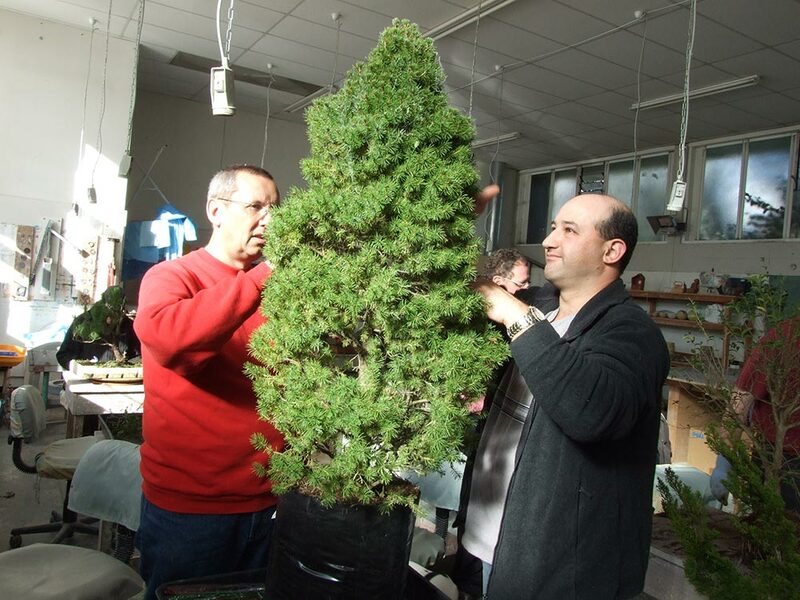 These often take in bonsai collections and garden centres or nurseries in other parts of NZ. 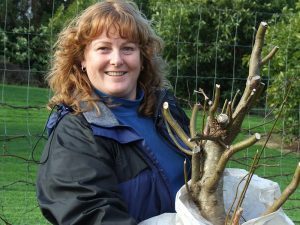 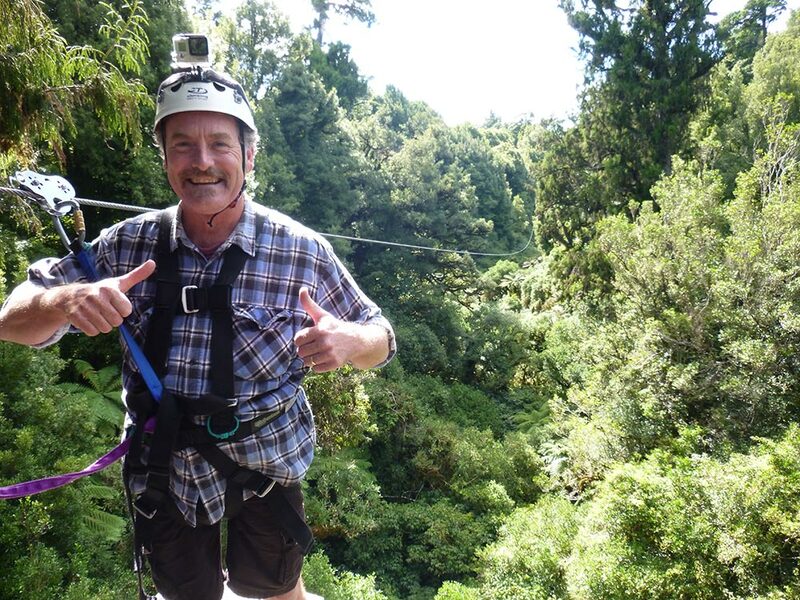 One of the first was to Avondale Nurseries in Auckland and was quickly followed up with return trips to Auckland followed by New Plymouth, Tauranga, Napier and Kawerau. Since then a trip to visit bonsai collections has become an annual event and collecting trips with other clubs are run whenever possible. 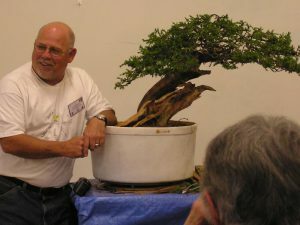 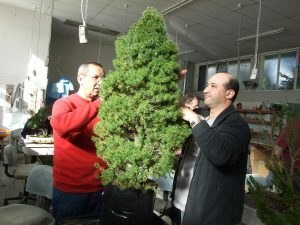 As well as club shows several displays were held as part of a larger show rather than a dedicated bonsai show. One of the first was Springworld at Claudelands where the club expected to put on a display of up to 15 trees. 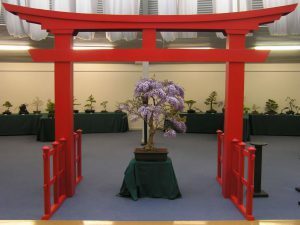 This was followed by displays at Farmers for Japan Week, the National Cameiila Convention, Waikato Winter Show, Garden World and at many specialist club shows. 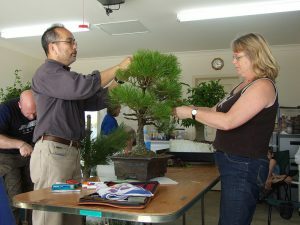 The clubs annual show at Hamilton Gardens which has run since 1998 is the largest annual bonsai shown in New Zealand. 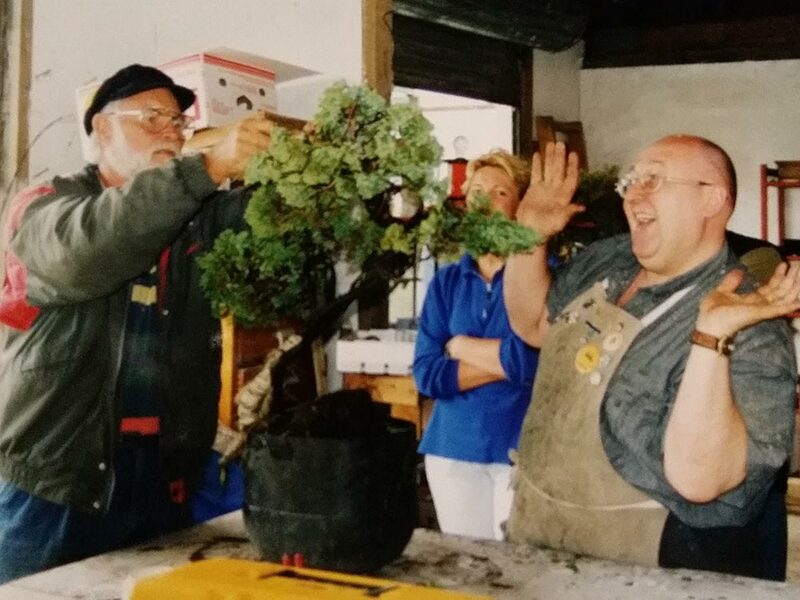 The Hamilton club has always been supportive of the New Zealand Bonsai Association and since it’s formation in 2002 there have always been members of the Hamilton club on the NZBA committee. 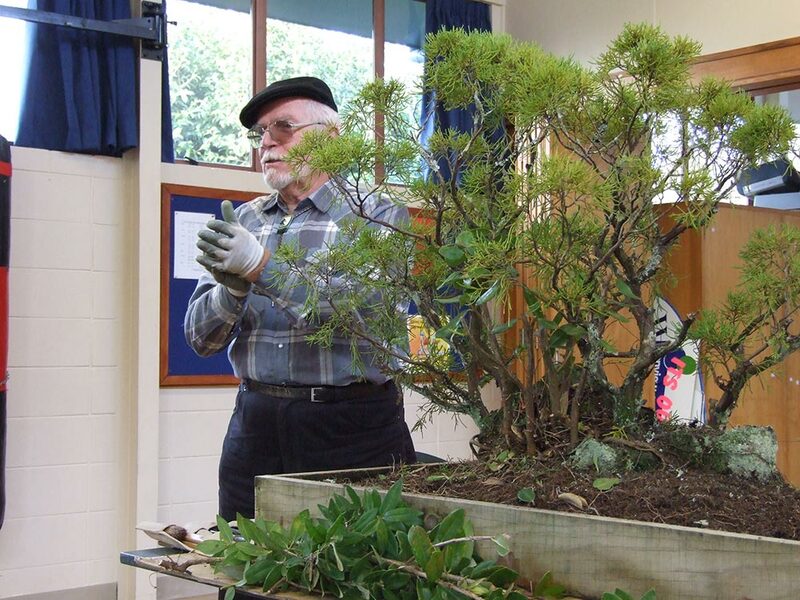 Club members have won numerous prizes over the years at the NZBA National Show.